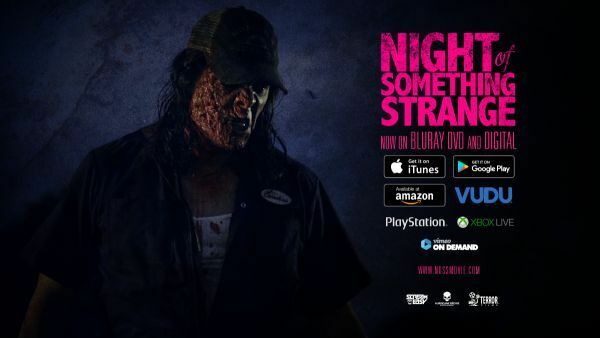 TERROR FILMS is excited to announce the official release of The Night of Something Strange. We have expanded the film’s release to many of your favorite platforms. Check out the links below. The film is currently available in U.S., Canada, the Middle East, North Africa, Asia, the Caribbean, Ireland, the U.K. and Pan-Russia. And be sure to keep an eye out for our Special Digital Card Promotion where 25 lucky fans will win a free iTunes download of this awesome film! 8 Horror Sites! 8 Digital Cards! 25 Lucky Winners! Also available on Roku on multiple channels and coming soon to more sites and more countries!